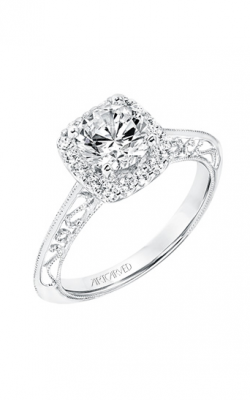 Founded in 1850 by J.R. Wood and his sons, ArtCarved immediately captured the hearts of men and women alike for their exquisitely designed and expertly crafted engagement rings and wedding bands. 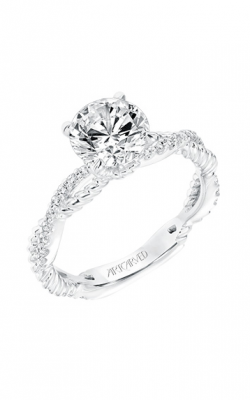 Today, ArtCarved continues to win over the adoration of couples for their unparalleled bridal jewelry. The spectacular assortment of ArtCarved engagement rings feature beauties with milgrain, Art Deco motifs, floral motifs, and delicate scrollwork filigree details that makeup distinctly unique rings. Their collections showcase the best of both traditional and modern styles that are sure to win over every bride-to-be. With over half a century serving Pennsylvania, BENARI JEWELERS is committed to bringing their area friends and neighbors the best in bridal jewelry. As such, their Exton and Newtown Square showrooms continually offer a large, elegant assortment of wedding bands and engagement rings from today's finest. 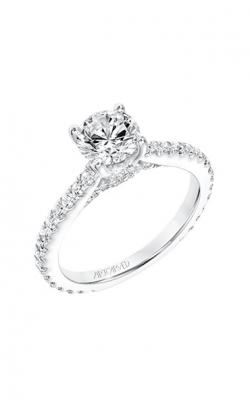 As an authorized retailer of ArtCarved and others, the ArtCarved engagement rings available in the galleries of BENARI JEWELERS are hand-selected to represent the most gorgeously crafted rings from the designers. Available today at BENARI JEWELERS, are three of ArtCarved's stunning engagement ring collections in various styles including halo, three stone, and solitaires. From ArtCarved, guests may shop from their Classic collection featuring lovely engagement rings with both popular center stone cuts such as princess, round, and emerald and rarer cuts including asscher, cushion, oval, and pear. Also, shop the Contemporary collection for a plethora of intricately designed bands and center stone settings or ArtCarved's Vintage collection for detailed bands and dazzling halos. Guests who shop with BENARI JEWELERS are welcomed by friendly and knowledgeable staff who can answer any and all questions regarding their extensive selections of bridal and fine jewelry items. Shop BENARI JEWELERS for bridal favorites from the artisans at A. Jaffe, Tacori, ArtCarved, Coast Diamond, Forevermark, Henri Daussi, and many others. Or for those looking for exceptionally crafted timepieces, browse among the Rolex, Cartier, Michele, Tag Heuer, and other fine watch selections. Serving the Philadelphia, West Chester, Malvern, Downingtown, King of Prussia, and surrounding cities from their conveniently located Exton and Newtown Square locations, BENARI JEWELERS is the greater Pennsylvania area's go to full-service jewelry store.